Velvet is one of the hottest trends for fall 2017 fashion, but to many women, sporting a head to toe velvet leisure suit a la Prada, or a velvet gown like those seen on Jason Wu’s models, are looks fit more for runway than for real life. 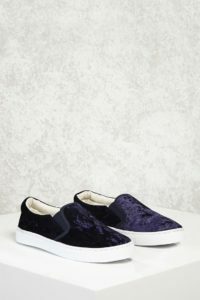 But you can get similar style and a look that’s a total fall 2017 fashion trend by sporting velvet in an unexpected place—your shoes and bags. 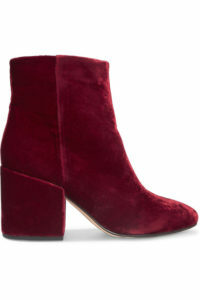 From smoking slippers to evening heels, a bit of soft velvet adds a feminine, yet stylish, touch to your fall wardrobe. These are some of our favorite options, ranging from discount to designer, for inspiration or your shopping pleasure, thanks to this week’s Seen on Pinterest inspiration. River Island Leopard Pumps, $34. 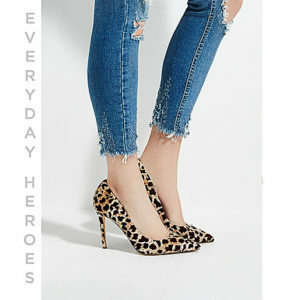 On sale from their original $70, these leopard pumps are a no-brainer, offering a stylish upgrade to your standard black pants or LBD for work, and can be dressed down with jeans as well. A staple on the spring runway, these velvet pumps go with everything from leggings to dresses. Choose your pattern and start looking stylish now. These T-Strap flats are perfectly neutral, and comfortable to boot. 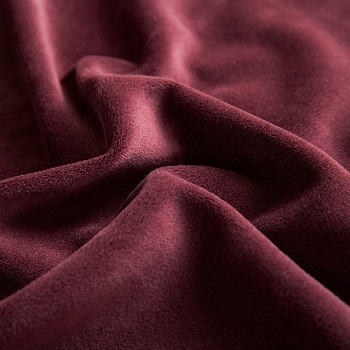 The deep berry is an “it” color for fall as well. 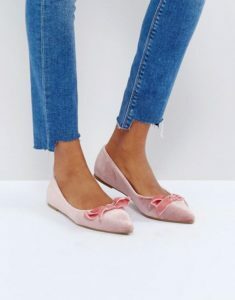 Wearing head-to-toe pink may seem overly girly, but these femme ballet flats offer the perfect touch of feminine charm. Forever 21 isn’t just for teens – it offers some of our fave fast fashion at an affordable price. These slip ons are great for Saturday errands. 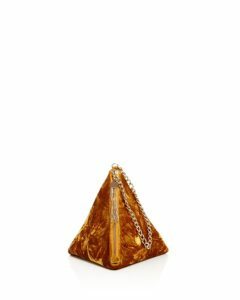 The perfect evening accessory this fall – a pyramid shaped velvet bag. 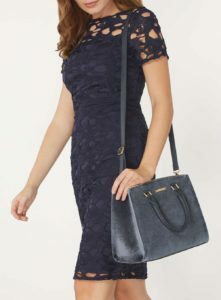 You can bring velvet to the workplace with this structured daytime find that’s totally on-trend. 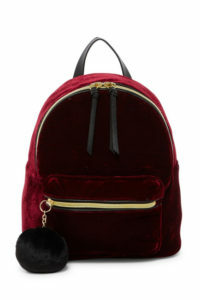 Mix two great styles for fall – a backpack – and velvet!